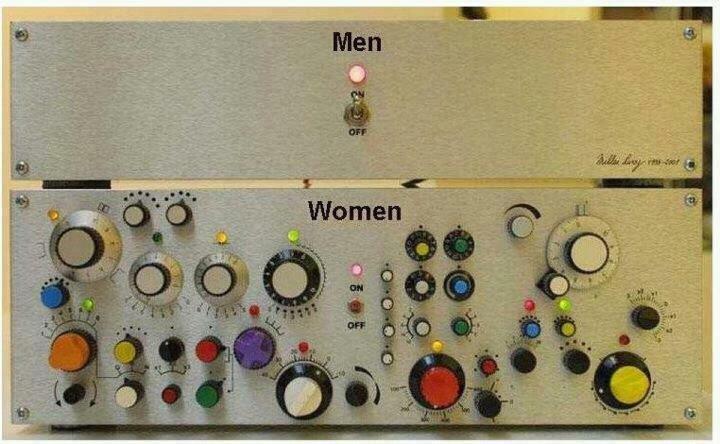 Men have a switch. You flick it up or down. But women are complex.